Since I worked on the SAP Personas flavors more then I worked with SAP HTML GUI, at first I thought SAP Belize theme is a Personas flavor theme. So don't make the same mistake I did, so Belize theme is not a Personas theme it is a SAP WebGUI theme. 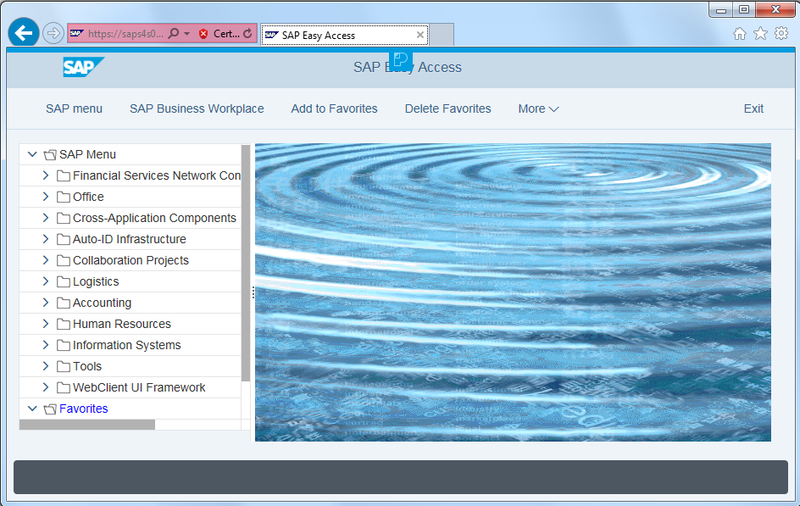 Belize theme is the default theme out of the box for the SAP S/4HANA 1610 using customers. 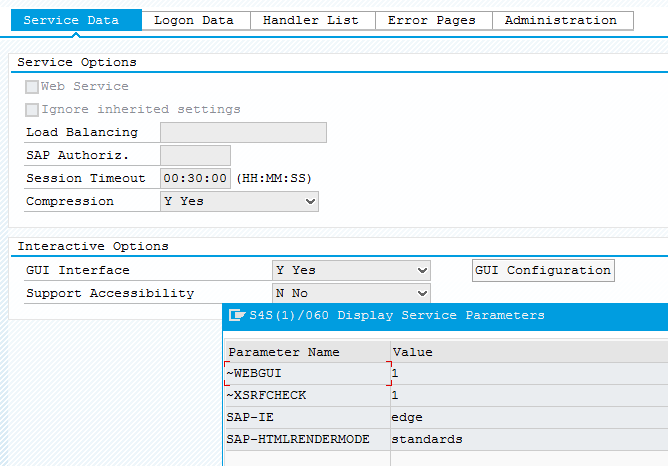 If you have migrated from a previous SAP Business Suite, the SAP Blue Crystal theme might be configured as the default theme for SAP Web GUI so for the SAP Screen Personas application solutions. If existing SAP Screen Personas release forces "Blue Crystal theme" as the default theme, Personas administrator can alter the Personas service definition to enable Belize theme as the default theme replacing the Blue Crystal theme. 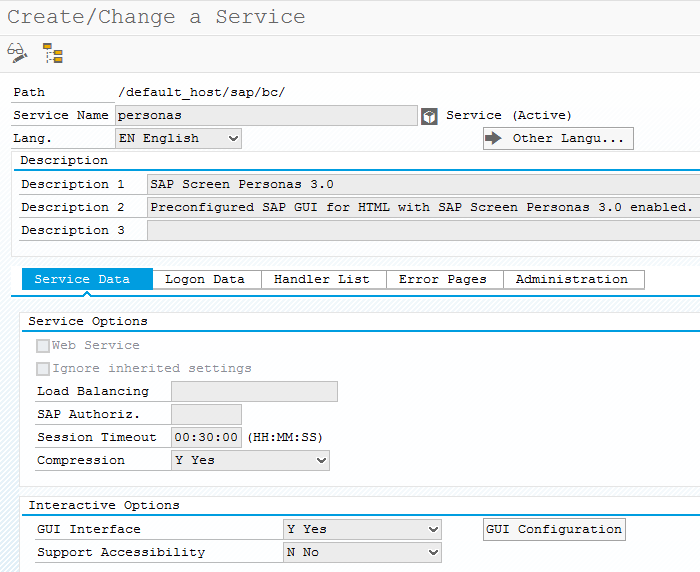 If you double-click on the service name, the service definition screen for SAP Screen Personas 3.0 will be displayed. To work with Belize theme on SAP Screen Personas flavors, to change the default theme in the Personas service definition. For setting the Belize theme as the default theme for SAP Personas, to edit the Personas service in SICF tcode change to Service Data. Click on GUI Configuration button to change GUI configuration settings. 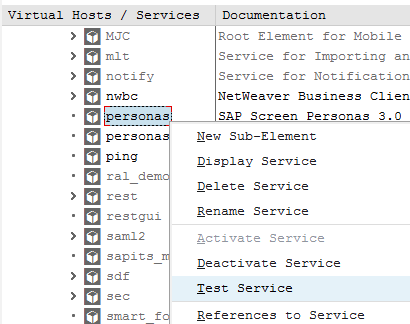 After you are finished with modifying the service GUI configuration parameters, we can test the SAP Screen Personas flavors with new Belize theme by testing the Personas service. You might be requested to enter your SAP credentials or your approval if the certifications are not valid.